"The hair cuts fine..but this has got to stop..good shoes want save you this time..."
I am a down to earth kinda of person and I am easy to get along with plus I am up for a laugh. I am a huge Supernatural fan I love Jensen Ackles.I love mostly American tv shows,I absolutly love Charmed Piper is my fave sister,my daughter almost took her name(stupid husband)I love ER,Greys Anotomy,Ghost Whisperer,The O.C(Ben),One Tree Hill(Chad),Ugly Betty. 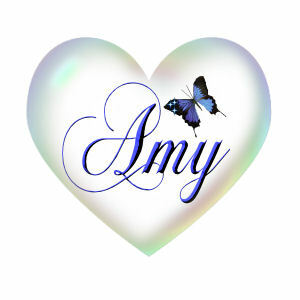 Login or register to add Amy-3 as your friend! Oh I really liked these glittering things. They are so nice to send to your friends. hi!! I added you! plzz add me back!! And can I have two of these one saying Nicky and another saying Believe? ?